Graham has translated plays from Greek, French, Italian and German, and produced adaptations. He has enjoyed directing, and also leading workshops in the studio, notably on Greek tragedy, which is a special interest. Over the years he has been an advisor to the Royal Shakespeare Company on a production of Euripides’ Ion, and to John Barton on the production of Tantalus, compiled from existing and fragmentary Greek plays and from stories relating to them. He has taught aspects of Greek tragedy and comedy and social history in a number of universities for several decades, and published many studies, some specialist and some more general. He is well-known for A Short Introduction to the Ancient Greek Theater, now in a second edition published by the University of Chicago Press, and available as an e-book and in paperback. He lives in Devon, UK, and is attached to the University of Exeter, where he is an Emeritus Professor in the Drama Department. 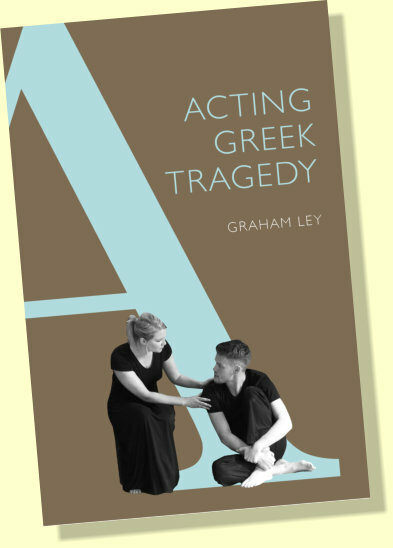 Acting Greek Tragedy is published by University of Exeter Press, and is also available as an e-book or in paperback. It is distributed in the USA and Canada by The University of Chicago Press.